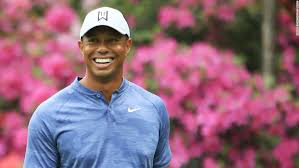 2019 Augusta Master Golf…Tiger Woods back? Maybe for now….After two days of play he’s one shot back…. That’s someplace he hasn’t been for quite a while…. The crowds are his and they love it!….. He will, without question, play in front of masses of people over the weekend. This Masters, without Woods — as the 2014, ’16 and ’17 tournaments were staged, when he was injured — would be stellar. The five players tied for the lead at 7 under — Day, Molinari and Koepka were joined by Australia’s Adam Scott and South Africa’s Louis Oosthuizen — each has a major championship to his name. Koepka has three. Among the three players tied with Woods at 6 under is Dustin Johnson, a former U.S. Open champion who’s a threat to win any time he puts a tee in the ground. But the tournament has a decidedly different flavor because Woods is there. His last major came at the 2008 U.S. Open. But he contended over the weekend at the two most recent majors — last year’s British Open and PGA Championship.